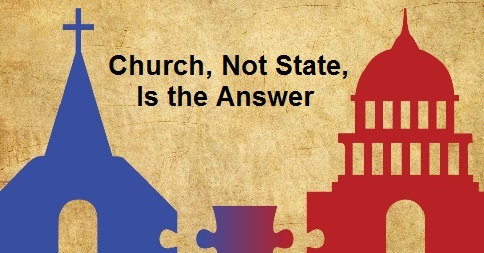 Religious institutions should not ask the state to solve problems we have the capacity to address ourselves. Yet, in every city across this country there is a need that faith-based leaders talk about from the pulpit and then expect government to answer. In doing so we are shirking our responsibilities and failing our communities. Today, there are an untold number of social illness that need to be immediately addressed. If the Church is going to remain a source of real influence and an agent for change in the future, faith-based leaders must decide, today, that society’s social ills will be addressed by the church, not the state. Written by Pastor Matt Hagee. Abortion, Church, Educational, Government, Guidance, Medical, Ministries, Pastor, Poverty, Spiritual, State. Bookmark.